Kitchen Treasures conquers heights with yet another triumphant journey. 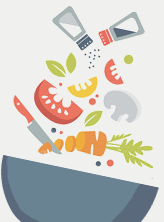 Kitchen Treasures is selected for its achievement in establishing itself in a highly competitive curry powder industry within two years. The jury noted that the product found a place among the customers through innovative branding techniques.The jury was headed by IIM-Ahmedabad professor and former Federal Bank chairman Abraham Koshy. 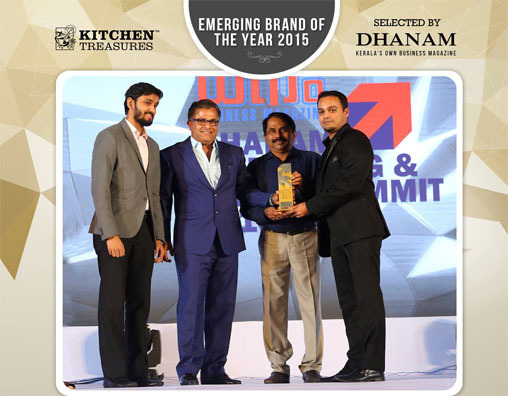 Kitchen Treasures ManagingDirector and Chief Executive Officer Ashok Mani receives the prestigious Dhanam Emerging Brand of the Year 2015 Award from Santhosh Nair, Chairman and Chief Mentor, Smart Training & Consultancy Private Limited. Accompanied by Dhanam Publications Director Vijay Kurian Abraham and Advertising Manager Mohanakumar.